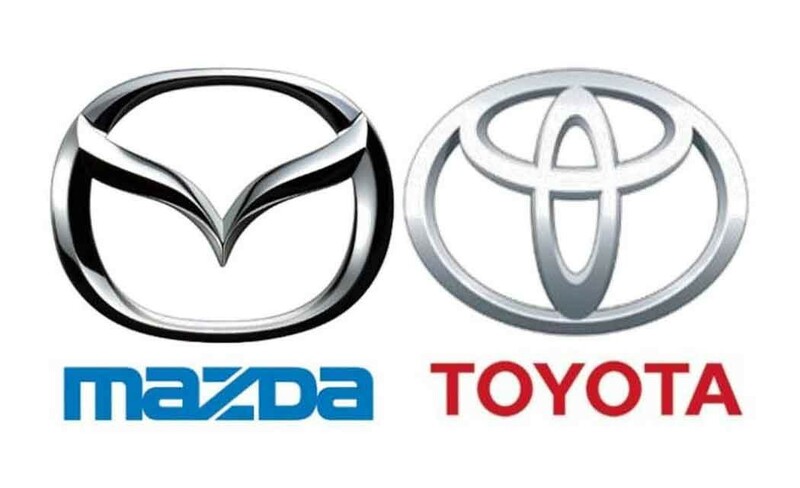 TOKYO (AP) _ Toyota Motor Corp. and Japanese rival Mazda are expanding their partnership to a long-term one focusing on technologies in the areas of safety and fuel efficiency. Toyota President Akio Toyoda and Mazda Motor Corp. President Masamichi Kogai shook hands at a Tokyo hotel on Wednesday, both smiling and decked out in dark suits and red ties. The companies are setting up a joint committee to figure out how best to work together. Both sides said the goal was to have their engineers work together on product development. “It’s more an engagement,” Toyoda said, responding to comparisons to the event as a wedding. The companies aren’t taking stakes in each other. Toyoda expressed interest in Hiroshima-based Mazda’s fuel-efficient technology for gasoline engines and diesel vehicles called Skyactive. But neither immediately went into specifics, such as whether Toyota would license Mazda to use its new green technology, such as fuel cells, which runs on the energy created when hydrogen combines with oxygen in the air to form water. Toyota already provides hybrid technology to Mazda. Mazda also makes compact cars for Toyota at its Mexico plant. Toyoda and Kogai said the two companies share a corporate culture based on a determination to pursue quality cars. Toyoda expressed admiration for Mazda’s design finesse. Kogai said Toyota has the same Mazda spirit. Toyota has repeatedly said it is open to alliances with other automakers. It has worked with General Motors, and it announced collaboration on fuel cells with BMW in 2013. Mazda used to have a powerful partner in Dearborn-based Ford Motor Co., which bought 25 percent of Mazda in 1979, and raised it to 33.4 percent in 1996. But Ford began cutting ties in 2008, and shedding its stake in Mazda. Toyota, the world’s No. 1 automaker in global vehicle sales, is re-embarking on an aggressive growth drive after taking a hit from massive recalls, mostly in the U.S., that began in 2009. The tie-up with Mazda is the latest addition to Toyota’s sprawling empire, which has Japanese truck maker Hino Motors and minicar maker Daihatsu Motor Co. as a group company under its wing. It is the top shareholder in Fuji Heavy Industries, the maker of Subaru cars.